A lightweight ripper for your little ones. 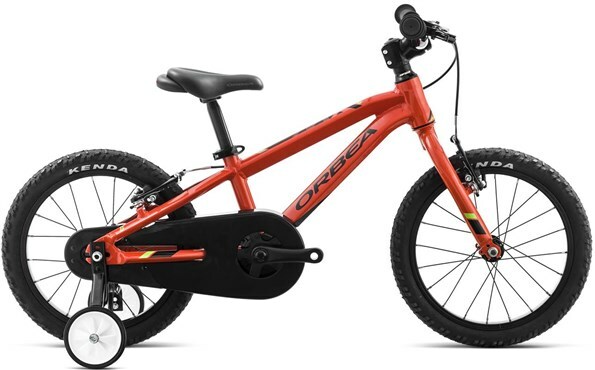 The Orbea MX 16 is a 16” wheeled bike that brings in the quality and performance of adult bikes into a smaller scale, perfect for your kids to enjoy. The Lightweight alloy frame is easy to handle, and the powerful V-brakes give speed control at children’s fingertips. Front Hub: Orbea Alu 16"
Rear Hub: Orbea Alu 16"